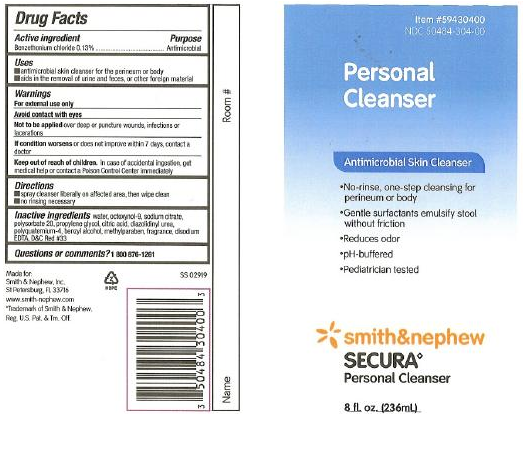 Secura Personal Cleanser is an antimicrobial skin cleanser or Incontinence Cleanser used for perineum and body cleansing from Smith & Nephew. Secura Personal Cleanser is formulated for incontinence cleanup and aids in removal of urine and feces as well as other foreign material. 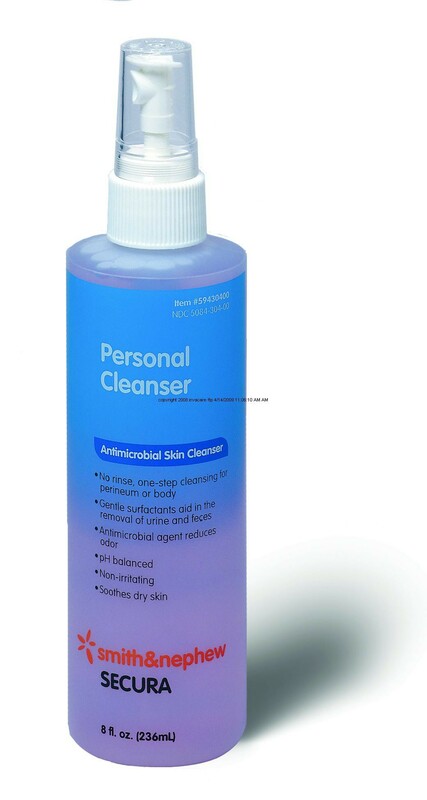 Secura Personal Cleanser is for external use only. Avoid getting Secura Personal Cleanser from having contact with your eyes. Secura Personal Cleanser should not to be applied over deep wounds, puncture wounds, infections or lacerations. 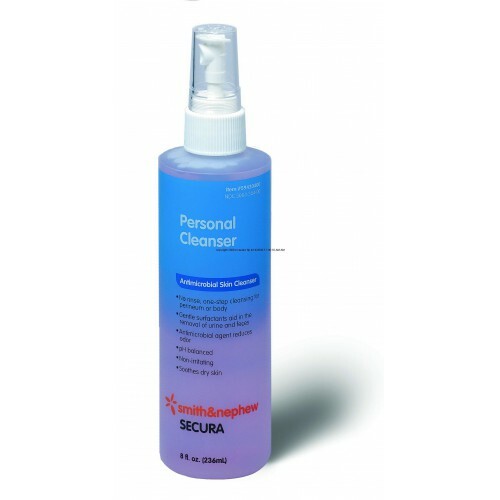 No rinsing is required when using Secura Personal Cleanser. Do not bandage tightly when using Secura Personal Cleanser. If condition worsens or does not improve within 7 days, contact a physician. Keep this and all drugs out of the reach of children. In case of accidental ingestion, seek professional assistance or contact a Poison Control Center immediately. Secura Personal Cleanser is pediatrician tested for safe use on children and fragile skin. Why is there no ingredient listing? The active ingredient is listed on our page. For a full list of ingredients we recommend contacting the manufacturer for specific information. I thought this was a foam antibacterial cleaning solution to clean my body to help prevent infections from using a catheter. This product is more like a surface cleaning product. I used this in the hospital and decided to order some for home use. It's easy to use and not irritating. Mild and refreshing fragrance. I've ordered several items from Vitality in the past. They have what I am looking for at very reasonable prices and the order is shipped quickly and packaged well. I used this product in the hospital, when I was incontinent while on IV antibiotics. Now that I have colitis, this product is a god-send for me. Very fresh scent. Mild and cleans well. Excellent product for personal hygiene, even when gastrointestinal upset is in play. Maximizes cleanliness, minimizes irritation. Every bathroom should have this product in it. I first experienced this in a hospital and was delighted I could buy it online. Rough on skin. Helps promote breakdown. If ANY spot on skin is "open" even very small, putting this on it stings and hurts like the Dickens! Buyer beware.